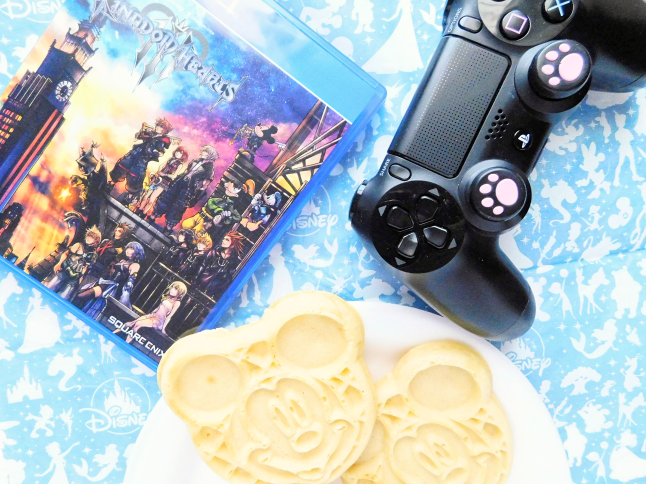 Playing: Kingdom Hearts 3! OMG! Watching: The final episodes of Unbreakable Kimmy Schmidt. Eating: Mickey Mouse Shaped frozen Waffles! I bought these just to celebrate the release of Kingdom Hearts. Loving: I finally caught up on my Hobonichi! I've been 1-3 pages behind for the past week, plus, I finished the Dare to Dream challenge. Look out for a post on this soon. Celebrating: That I completed another 30-Day Yoga journey and the Blogilates 100 ab challenge. Excited For: I just pledged to Vicki's Patreon. I'm so excited to see all of her art and rewards! If I've never played Kingdom Hearts before would you say it's better to go back and play the old games or can I start from Kingdom Hearts III? <3 Always love your posts!